When it's enabled on a device, Bixby's voice commands take over a single-press of the Bixby button. 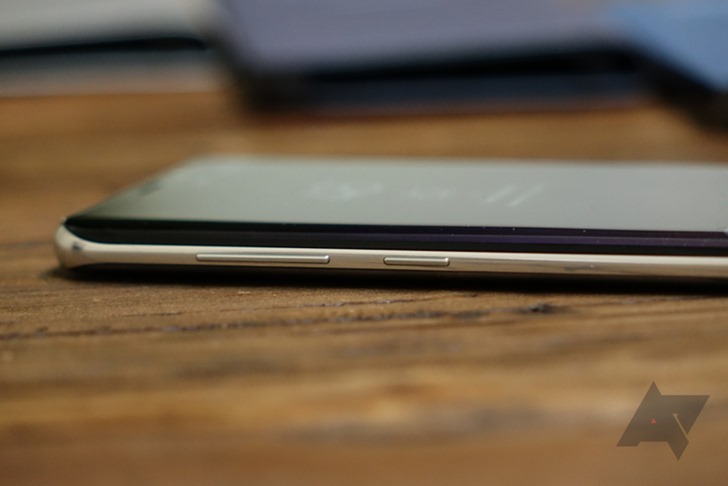 A double press still brings up the Hello Bixby panel. You can also choose if you want shorter spoken feedback or full length feedback. Samsung has both male and female voices for Bixby as well. There's a Reddit thread with some screenshots and more details. The idea is that users will be able to control apps by voice simply by tapping the Bixby button and telling it what they want. This sort of deep integration with apps means developers have to specifically design for it. Right now, there are only a few apps that work with Bixby Voice like the stock phone, camera, gallery, and clock apps. 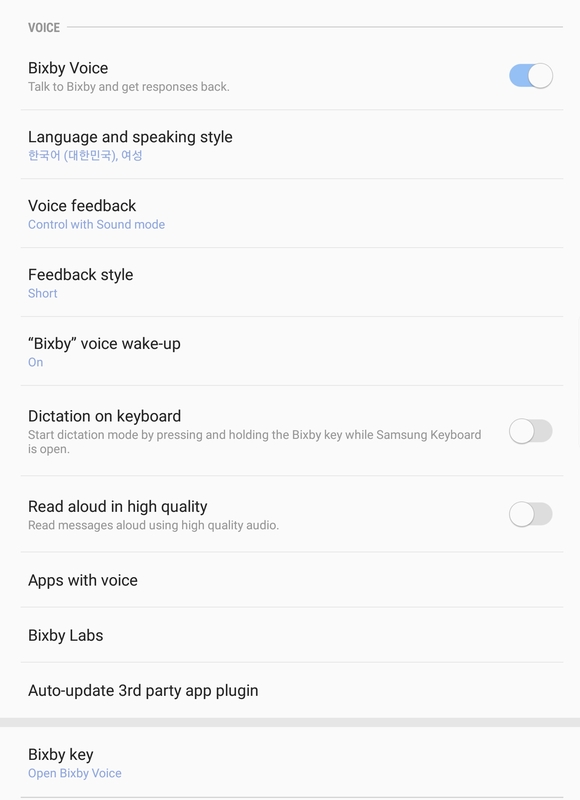 There's also a "Bixby Labs" section for experimental app support. That includes the likes of Samsung's calendar, browser, and file manager apps. Some third-party apps like Facebook and Instagram are also listed there. 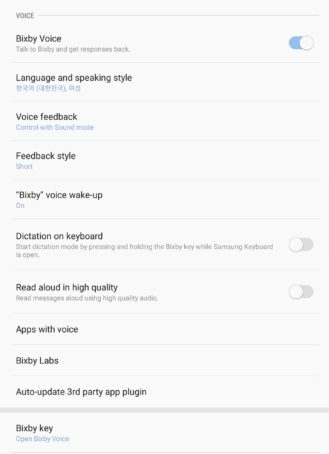 Samsung is supposed to launch Bixby Voice in the US at some point this spring. The GS8 seems to be selling pretty well without it, though.